In the morning after breakfast, drive to Tarangire National park. Do a game drive until in the afternoon. Later drive to the Endoro Lodge, for Dinner and overnight. After breakfast drive to Manyara National Park for game viewing. In the evening drive to the Endoro Lodge for dinner and overnight. After breakfast drive to Serengeti, pass by olduvai gorge, visit the historical site of the olduvai gorge. After the tour continue driving to Serengeti, once you done with the registration at the park gate, proceed with game view, then drive to Kati Kati Camp for dinner and overnight. After breakfast do a full day game drive( with a sunset game drive during the dry season) in Serengeti National Park with game viewing in the southern Serengeti & Seronera Valley. Dinner and overnight at Kati Kati Camp. After breakfast do a morning game drive, and then proceed to Ngorongoro Conservation area for dinner and overnight at the Ngorongoro Sopa Lodge. Very early in the morning after breakfast, you descend into the crater, do a crater tour until noon then drive back to Hotel in Moshi/Arusha. 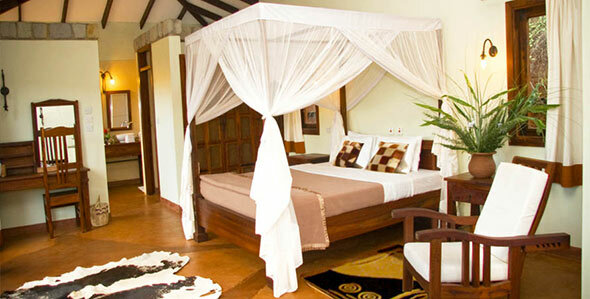 This 6 Days Safari option is available for US$ 2,450.- per person (minimum of two participants).